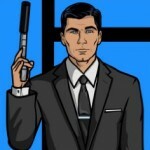 2011 Emmy Noms: The Good, the Bad, the Huh?! OK, so I’ve had a day for the Emmy nominations to sink in, and, overall, I have to admit, there are a lot of things to like about this year’s line-up. And, as is true every year, there’s a lot to scratch your head about. 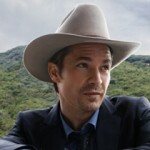 The best 2011 Emmy nominations: Timothy Olyphant, Walton Goggins, Margo Martindale and Jeremy Davies for Justified; Melissa McCarthy for best comedy actress; Friday Night Lights for best drama; Parks and Recreation for best comedy; Andre Braugher for Men of a Certain Age; Matt LeBlanc for best comedy actor for Episodes (seriously, he totally made up for Joey with this show); and Martha Plimpton for best comedy actress and Cloris Leachman for best guest comedy actress for Raising Hope. The biggest Emmy snubs: No nomination for Katey Sagal for best drama actress for Sons of Anarchy and no best supporting comedy actor nod for Nick Offerman on Parks and Recreation. It is ridiculous that Sagal, who won the Golden Globe last year for Sons, has yet to even get a single nomination for three seasons of outstanding performances on the show. In fact, Sons of Anarchy has received just one Emmy nomination – for the show’s theme music – in three seasons, which, again, is ridiculous. Also ridiculous, and what should particularly bothersome to the Emmy folks: That the Golden Globes (the Golden Globes) got it right, and they have yet to even acknowledge Sagal’s work. Equally crazy: no recognition of Offerman’s work on Parks. The show got a best comedy series nomination, and Amy Poehler is among the best comedy actress nominees, both deservedly so. But to overlook Offerman is nuts, especially when one of the supporting comedy actor spots was taken up by Jon Cryer. First, Two and a Half Men didn’t even go for a full season; only two-thirds of the original 24-episode order were produced. And, even if you believe the show was ever anything but an unfunny, barely veiled version of Charlie Sheen‘s real-life creepiness, it’s so, so tired now, as is Cryer’s nomination. And while I also think it’s overkill that all four actors on Modern Family were nominated in what is typically one of the most talent-packed Emmy categories, those nominations are still more justifiable than Cryer getting one and Nick Offerman not getting one. 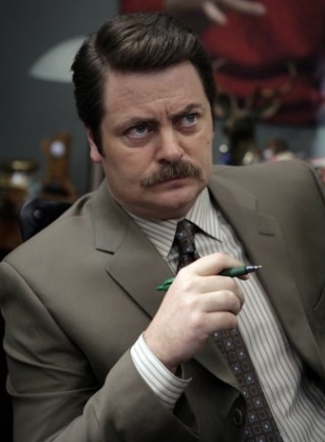 Ron Swanson, people. Ron Swanson! Thoughts: Boardwalk Empire is one of those shows that everyone says you should watch, and you do, once, and then decide you’re going to start DVR-ing it, which you do, until you let eight episodes build up and decide you’re probably never going to watch it even though you love Steve Buscemi, so you delete it. In other words, it was probably inevitable that it was going to get a best drama nomination, but I’m unconvinced that there are a lot of people who truly believe it is one of the best dramas on TV, as opposed to a lot of people who think they are supposed to think it is one of the best dramas on TV. As for snubs, no Sons of Anarchy. No nod for The Walking Dead. No Fringe. And no Justified, which is easily as good as any show on that list and better than at least two-thirds of them. Thoughts: Yay for Parks and Recreation. Boo for The Office and Glee. The Office has not been consistently funny in at least a couple of seasons, and painfully unfunny in many episodes. Glee … I had lunch with a fellow journalist who covers TV yesterday, and we had a lengthy chat about Glee and how undeserving the show is of this nomination. Season two kinda sucked, and pretty much everyone agrees with that. But because the Emmy folks happened to heap love on a show that was also popular last year, they apparently felt the need to continue it for season two, which, again, made the awesomeness of season one seem like a fluke. Chris Colfer continues to be amazing, and Jane Lynch is always funny, but the rest of the show lost its charm in season two. I throw a slushie in the face of this nomination. Besides, Glee and The Office took up spaces that could have gone to far funnier shows, like Community, It’s Always Sunny in Philadelphia, The Middle, Episodes, Raising Hope, Archer, Nurse Jackie and Eastbound & Down. Thoughts: Good list, save Hugh Laurie. Tired show, tired nomination. Would’ve included Andrew Lincoln for The Walking Dead before Laurie. 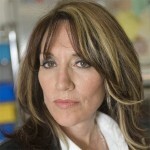 Thoughts: Any list that does not include Katey Sagal is an incomplete list at best, a joke at worst. And Mariska Hargitay, again? As with Hugh Laurie and The Office, the Emmy folks are in denial, and are just going to keep handing out those particular nominations as long as the shows/stars are on the air. Given that, I do find it surprising they dissed perpetual contender Kyra Sedgwick for The Closer. 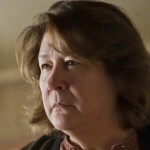 And Kathy Bates? Great actress, but definitely not deserving of that spot vs. Sagal, and more deserving of recognition for her performance on The Office than for Harry’s Law. 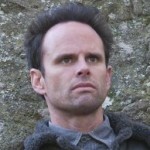 Thoughts: Several Sons of Anarchy cast members belong here, but I’m so happy that Walt Goggins, who’s deserved this nomination since back when he was stealing scenes from Michael Chiklis on The Shield, is finally being recognized that it’s all good. But, okay, one thing: Men of a Certain Age deserves a lot more play than it gets, both as a show and for the individual performances of Andre Braugher, Ray Romano and Scott Bakula. Still, yay, Walt Goggins, who shared with EW.com the funny story of what he was doing when he got the call that he’d been nominated. Hint: Like his Justified character, Boyd, he was in deep doo. Thoughts: Ditto Margo Martindale. This only becomes a bad scenario if she doesn’t win the Emmy, because she owns everyone else on this list with her performance as Mags Bennett. Thoughts: Wow, someone was watching Shameless. Huh. Thoughts: The thing that made me most proud, as a member of the Broadcast Television Journalists Association, of our inaugural Critics’ Choice Television Awards last month? 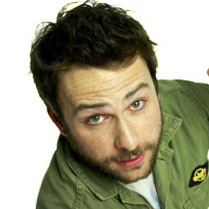 That Charlie Day was a best comedy actor nominee for It’s Always Sunny. 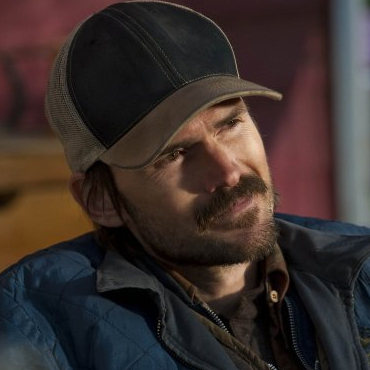 He should be on this list, as should Joel McHale for Community and Garret Dillahunt for Raising Hope. So while it’s cool that the Emmy dudes and dudettes threw some love Matt LeBlanc’s way, the rest of the list is just … meh. Thoughts: Patricia Heaton should be on this list for The Middle. Thoughts: See above. Still think it’s totally overkill to have four Modern Family nominees, though very happy Ed O’Neill (my fellow Ohio University alum!) got one this time. Still, among the many other names who deserve to be on the list as much as any of the people who are: Danny Pudi, Donald Glover and Ken Jeong from Community; the aforementioned Nick Offerman, as well as Chris Pratt and Aziz Ansari (and maybe even Rob Lowe) from Parks and Recreation; Neil Patrick Harris for How I Met Your Mother (hey, if they’re going to keep tossing Cryer on the list, how can they not include NPH? 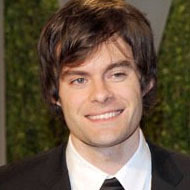 ); Justin Kirk for Weeds; and, seeing as how the guy is the best reason, aside from a Justin Timberlake hosting gig, to tune into Saturday Night Live, Bill Hader. 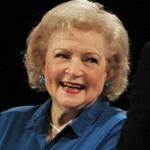 Thoughts: Betty White … see Michael J. 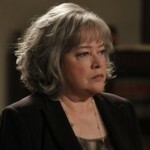 Fox nomination above, except in her case, it would be a Best Being Awesome on TV for More Than Six Decades Emmy. I’d also swap out Kristen Wiig, who is sometimes painfully unfunny and repetitive on SNL, for Cougar Town‘s Busy Philipps, who actually won our BTJA Television Awards trophy for best supporting comedy actress. 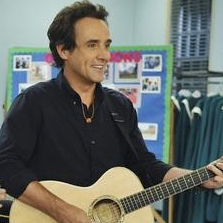 Thoughts: Character actor Paul Hipp (one of those “Hey, I know that guy!” guys), for playing the hilarious Rev. Tim Tom on The Middle, should be on the list. The character even has his own Facebook page. Thoughts: Damn you, Emmy people! The fact that you’ve foisted Gwyneth Paltrow on us means there’s every possibility that she might choose to sing on yet another awards show. And for that, her inclusion on this list just might be your worst 2011 nominations sin of all.